We invite you to explore our scenic and serene settings, from palm tree-lined streets to our white sandy beaches, which are made for enjoying the sun and tropical sunsets. The Naples Pier provides a perfect point for people- and pelican-watching, or for a gorgeous sunset selfie. Our balmy Gulf waters are calm and blue, dotted with dolphins playing just beyond reach, while providing a bounty of succulent seafood for your dining pleasure. Whether you're a first-time visitor, annual guest, or Naples Neapolitan, there are plenty of resources available to help you discover, remember, and celebrate the enchantment of our paradise. Looking for an updated calendar of things to do in the area? Click below for our exclusive calendar of events specially crafted for our visitors! Check out the Naples Pier Live Webcam! Downtown Naples is the annual guide to the best of Downtown Naples. This pocket-sized, world-class dining, shopping and entertainment guide showcases the best of what Downtown Naples has to offer. It features a downtown directory with in-depth information on shops, restaurants and entertainment options, a fold-out map of downtown, a year-long events calendar and more. 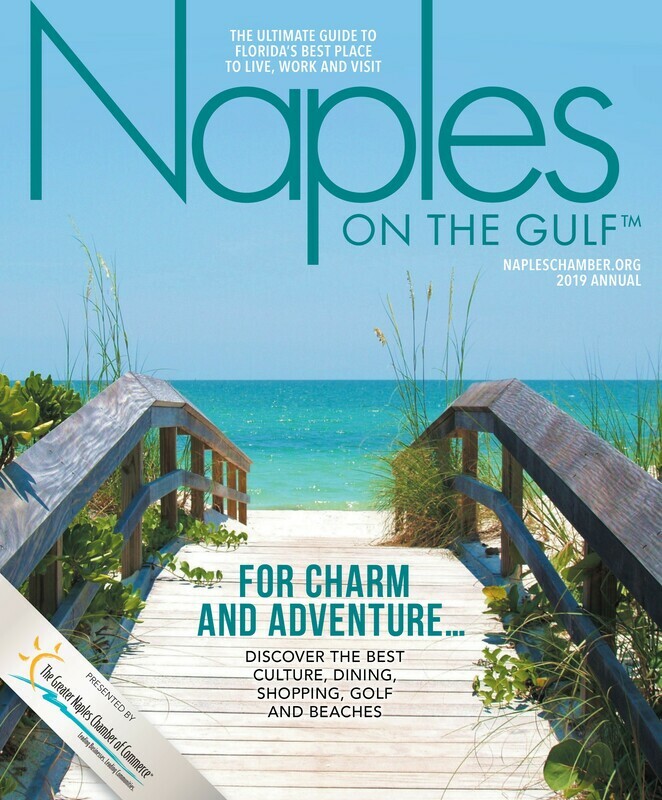 Naples on the Gulf features detailed, current information on the best places for dining, lodging, shopping, beaches, culture, attractions and recreation, giving visitors and newcomers the inside track. It also features a guide to retirement living, community and builder showcase with location map and more! For lodging information, a calendar of community events, current beach and conditions and much, much more, visit the official travel website of Naples: ParadiseCoast.com.